There’s something about January which makes me want to switch up my skincare. 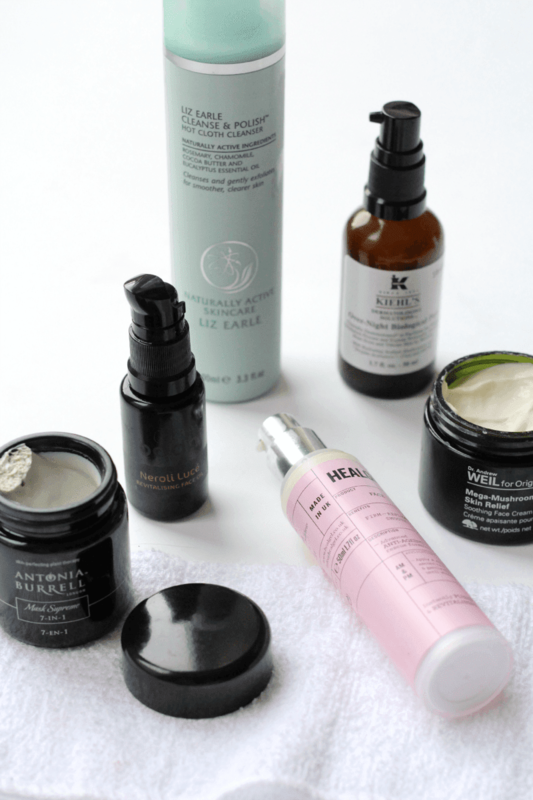 I’m determined to be as blemish free as possible this year, so I’ve swapped a few products out and replaced them with some old (and new) favourites. So, here’s the rundown plus a sneaky giveaway at the end! Starting with my cleanser, I’ve went back to the classic Liz Earle Cleanse & Polish as I found a spare tube in my recent skincare clearout. This cleanser always makes my skin glow and I really do think it’s worth the hype! For my daytime moisturiser, I’ve opted for an old favourite that’s HealGel Face. It’s one of those no fuss products that just works, hydrating the skin and it never breaks me out! For treatments, I’ve reignited my love for Kiehl’s Overnight Biological Peel to slough away dead skin cells and give my skin a bit of a boost! It’s one of my top exfoliator choices and try to use it twice a week. As for oils, I’ve went back to Bodhi and Birch Neroli Luce Revitalising Face Oil. It balances my skin, gives it a glow and just makes everything looks so much better. I’ve also been enjoying layering Origins Mega-Mushroom Skin Relief Soothing Face Cream ontop to give my skin an extra dose of moisture. I always try and use a mask twice a week and one I do really like is the Antonia Burrell 7-in-1 Mask Supreme. It’s a clay looking mask in the tub, goes on solid but dries down to basically nothing. You can feel it on your skin as it dries, but once washed off your skin looks so perfected and revived. Speaking of Antonia, I have one of her wonderful products to give away! 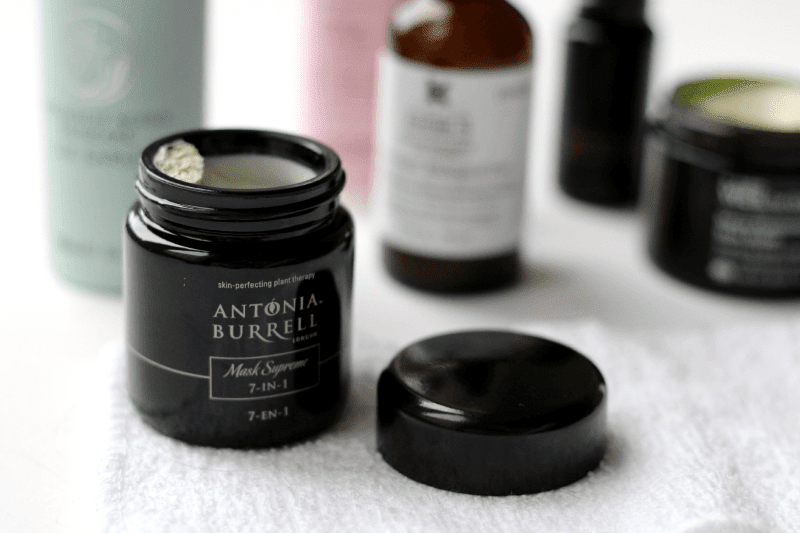 The Antonia Burrell Pure Therapy Facial Oil is such a gorgeous treatment for anyone who suffers from uneven, temperamental, irritated or congested skin! I always apply it when my skin is acting up and it’s honestly a godsend! Just enter the rafflecopter below to win! UK only. finish with a serum and moisturiser to lock in the hydration.